Of the most tourist destinations for individuals is around the Europe. With its affluent and diverse culture, the Europe is baiting some investors, students, artists and tourists alike from various parts of the globe. If you are a person passionate about travelling, or eager to experience varied cultures, then Europe would be the perfect chose for travelling or sightseeing. Even, the government of Europe is throwing a red carpet to some foreign nationals in the form of Schengen Visa. With the introduction of EU Schengen visa, European travelling has become much easier than one could expect it to be. In today’s busy schedule, people feel frustrated and stress doing their job continuously. Thus, it’s required to take a break and relax their stress by travelling some of the best tourist places. And, Europe tops the charts of leading tourist destination with some tourist attractions. Schengen is a major region located in the Europe with 26 European countries. Using Schengen visa, individuals can visit several of attractions in European countries on a single visa. Schengen visa is a tourist visa or visit visa issued for overseas nationals or non-EU nationals who are intending to travel more EU nations on a single visa. The countries that are included under the Schengen zone are Austria, Czech Republic, Belgium, Estonia, Denmark, France, Finland, Greece, Germany, Iceland, Hungary, Italy, Lithuania, Latvia, Luxembourg, Malta, Netherlands, Norway, Poland, Portugal, Slovakia, Slovenia, Spain, Sweden, Switzerland and Liechtenstein. Schengen visa is a document granted by the apt authorities to the interested applicants for the purpose of visiting or travelling in and within the Schengen Area for a period up to 90 days within a period of six months. The nationals of the non-Schengen member nations are requested an obligatory Schengen Visa to arrive at the Schengen area. There are some exceptions to this regulation; however, for some nations that are not a part of Schengen contract yet do not require a visa to enter the Schengen zone. Conversely, Indians require a Schengen visa to enter the Schengen zone. The minimum processing times for Schengen visa varies based on the different embassies and consulates in the world. Usually, on an average, it might take 14 to 21 days. Sometimes based on the individual profile, it might vary. 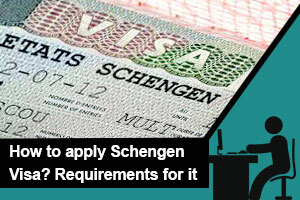 Thus, people can apply for Schengen visa fewer months before their plan of travelling.